A machine-learning based wildfire model. Underwrite wildfire with highest confidence level. Wildfires are costing billions of dollars every year. The US has been experiencing the worst wildfires in its recorded history recently. Recent wildfires in California has caused an insurance carrier and the power distribution company to file bankruptcy. Are current wildfire models accurate enough? Only ~55% of areas that burned in the last 20 years is classified as High or Very High in US Forestry’s Wildfire Hazard Map. According to case-studies provided by largest modeling companies, models perform up to ~65% of accuracy in best cases. UrbanStat’s Wildfire Hazard Maps are generated by using machine learning based algorithms to provide the highest accuracy of prediction that is currently available in the market. Our examination of the last 20 years of wildfires proves that our model can predict affected areas up to 25 points with better accuracy compared to other models in the market. Probability: Long term probability of occurrence for each risk score. History: Information regarding the historical wildfires affected the location. Real-Time Alert: Information regarding short term risk levels related to near-term climatic trends, e.g. increasing temperatures, decreasing precipitation. 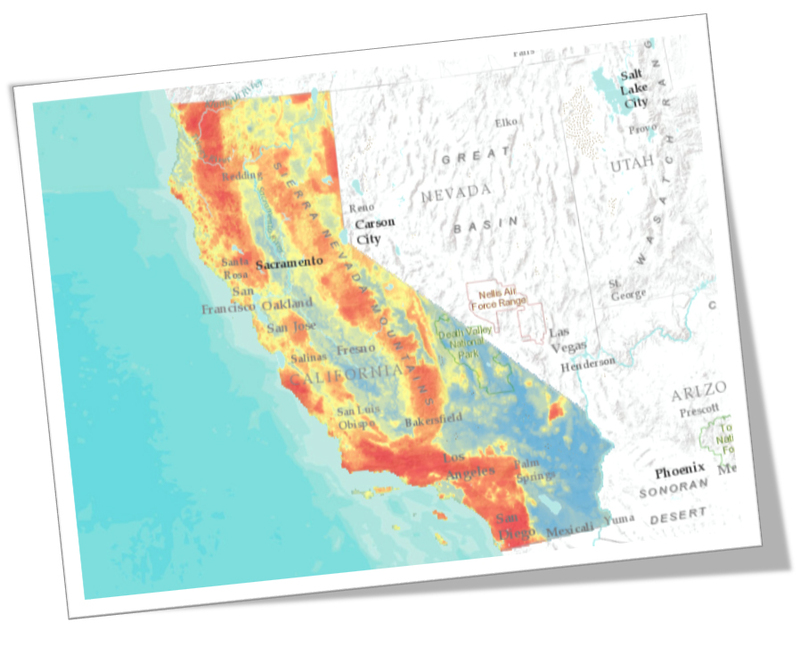 UrbanStat Wildfire Hazard Map has performed exceptionally well in Camp Fire – one of the worst wildfires of California’s history.